This is Plastic Crack — posts with content shared from other collectors that provide inspiration for the hobby or the unnecessary push to buy more stuff. The Transformers sets will be dedicated to the collection of the well known Autobot leader Optimus Prime in all his incarnations and variations (i.e. Optimus Primal, Leo Prime) from the different continuities (i.e. Generation One, Live-Action Movie Trilogy). For the CATALOGUE, this collection will primarily include Deluxe Class figures with few Voyager Class exceptions if necessary. Likewise, unlicensed and one-off figures will be compared against the standard size classes for consistency. Besides the stiff writing style I had back in the day, there’s emphasis on primarily collecting Deluxe Class figures with some exceptions. 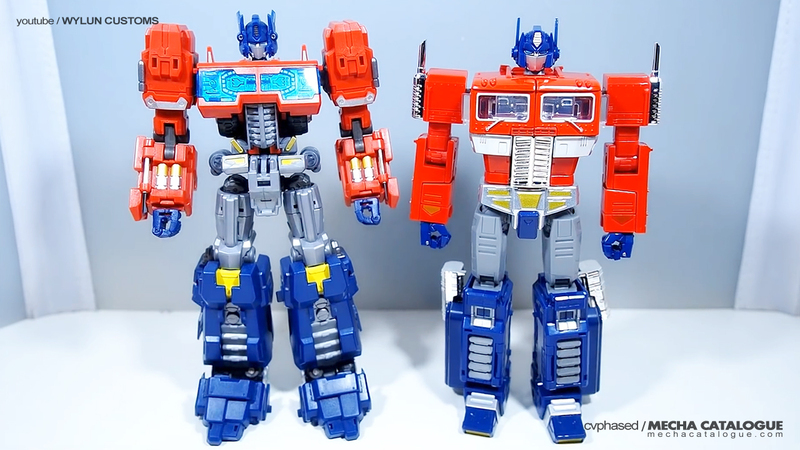 That has changed quite a bit nowadays with Hasbro / Takara Tomy releasing most Optimus Prime figures as Voyager Class figures. My collection has adapted to this as well, with most of them being Voyager figures. I also don’t have plans of getting any Transformers Masterpiece figures so everything’s fine and dandy. While researching material for #4001 / K.B.B.Deformation // KBBMPP10-V (MP-10 Optimus Prime), I came across this video review from Wylun Customs on YouTube. 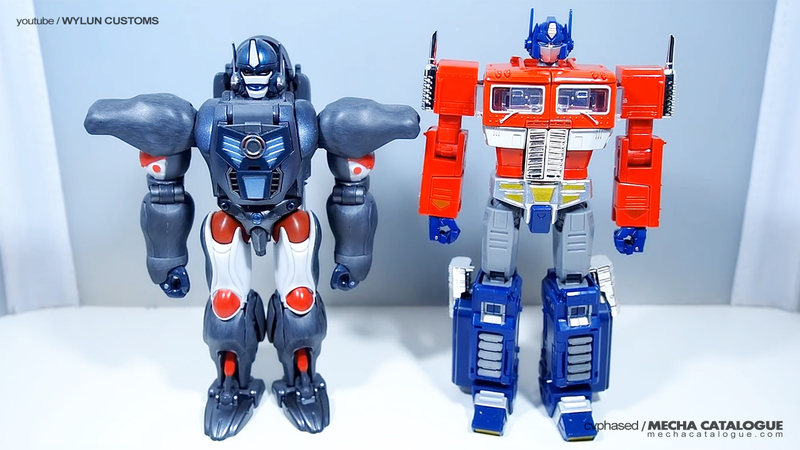 During the size comparison segment, it is compared with MP-32 Optimus Primal — with the latter apparently smaller. I’m basically saying that I can get Optimus Primal and it won’t stand out too much as far as scale is concerned. KBBMP10-V is also compared to MakeToys’ Striker Manus from the Cross Dimention line of figures following the Hasbro / Takara Tomy size classes. Everyone can say that this is just me trying to justify buying an MP-32 Optimus Primal figure. But at the end of the day, this is your collection. You buy stuff because you like them, not because you have to. And so, I’ll end this post with the video review from Wylun Customs I mentioned earlier. Enjoy!